Keep an eye on your vision health at any age with our vision insurance plans offering you choice and flexibility, plus no waiting periods. 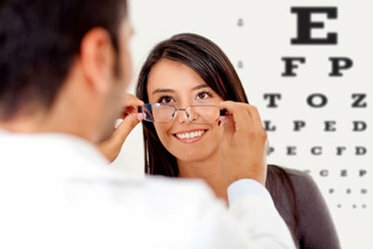 You choose coverage you need - glasses or contacts or both glasses and contacts. *Discounts: Laser Eye Surgery and Hearing Aids: Though laser eye surgery is not covered, you have access to discounted laser vision correction procedures through Laser Vision Network of America. Our vision plan members may also purchase high-quality, digital hearing aids at a discount over retail. Ask us for more information!